“We are laying low and we’re staying out of trouble.” Netflix has just released a new first look at season five of Orange is the New Black. 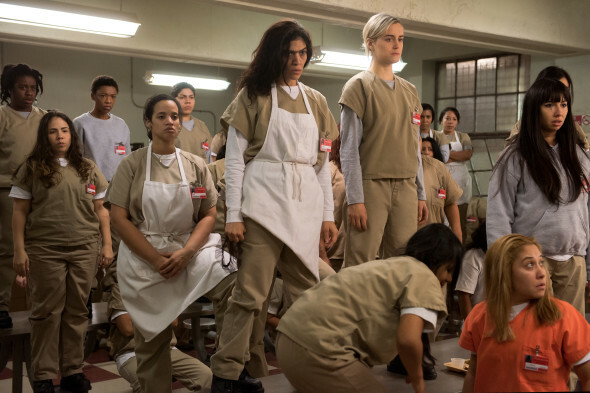 The new season will take place over the course of three days as chaos breaks out in Litchfield. The cast includes Taylor Schilling, Laura Prepon, Michael J. Harney, Michelle Hurst, Kate Mulgrew, Jason Biggs, and Taryn Manning. Season five of Orange is the New Black debuts on Netflix on June 9th. SOOO excited for the new season of Orange!!!! !